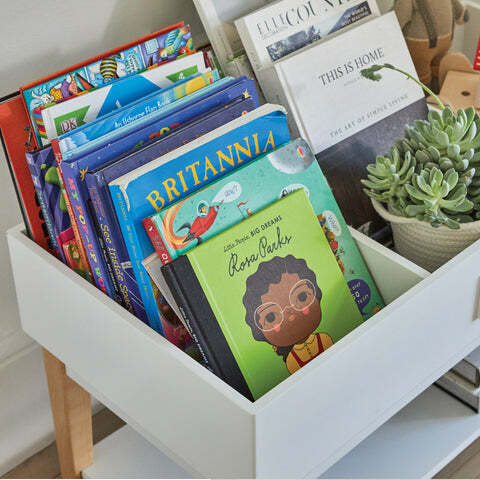 Potter Book & Toy Organiser | Great Little Trading Co. The latest addition to our gorgeous Potter range, this sturdy table offers practical book storage, as well as a space for toys and a large shelf for puzzles and games. Like all our furniture this children's table has been rigorously safety tested and is designed to be sturdy and durable. 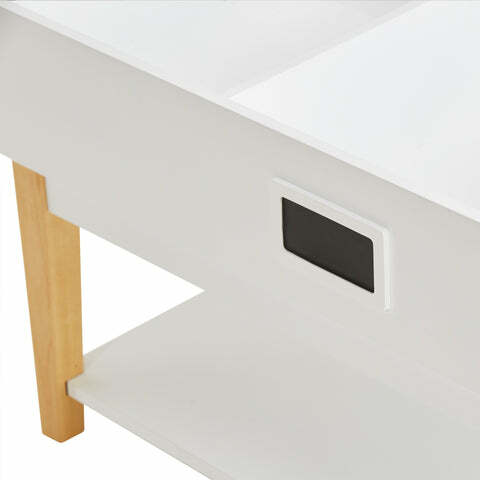 It's made from thick MDF with solid birchwood legs and a Bright White finish. Picture books can be tricky to store in a way that's easy for children to access; have a look at our wide range of Children's Bookcases for a design that suits your space and your child.